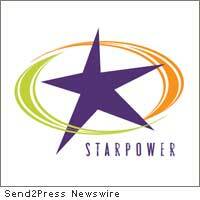 LOS ANGELES /California Newswire/ — Starlight Children’s Foundation – which for 25 years has helped seriously ill children and their families cope with their pain, fear and isolation through entertainment, education and family activities – has named 10-year-old actress Bailee Madison spokesperson of its StarPower program. StarPower is an initiative that encourages youth to give back to other youngsters with the conviction that you’re never too young to give back to your community. Bailee is joined by a special group of young film and television actors, athletes and performers – StarPower Ambassadors – who have also committed to use their time, energy and initiative on behalf of Starlight families. Best known for capturing the hearts of millions with her role as May Belle in Disney’s “Bridge to Terabithia,” in December, she will be seen in the upcoming film, “Brothers” (with Natalie Portman, Jake Gyllenhaal and Tobey Maguire), and in 2010, “An Invisible Sign of My Own” (with Jessica Alba), “Betty Anne Waters” (with Hilary Swank), “Letters To God,” the true and inspiring story of a young boy’s struggle with cancer, and finally, Guillermo del Toro’s “Don’t Be Afraid Of The Dark” (with Katie Holmes and Guy Pearce) in which she has the starring role. StarPower Ambassadors use their “star power” to brighten the lives of young patients with hospital visits and entertainment performances, by hosting chats in Starlight’s chat room for sick teens, volunteering at Starlight events and Great Escapes family outings, spreading awareness about Starlight’s programs and campaigns, and participating in fundraising efforts. In one of Bailee’s first acts as spokesperson for StarPower, she and Corbin Bleu are hosting a Starlight Hospital Happening event for teen patients at Shriners Hospitals for Children Los Angeles. Sponsored by Electronic Arts in conjunction with Variety’s annual Power Of Youth initiative, to which Starlight is a charity beneficiary, the event will include game play for the hospital’s teens on The Sims 3 and The Sims 3 World Adventures. Bailee and Corbin will spend some time with the hospitalized teens to brighten their day and provide a little respite from their hospital stay. Starlight’s StarPower program enables young people to help seriously ill children. Spearheading the initiative are a special group of StarPower Ambassadors – young film and television actors, athletes and performers who have committed to use their time, energy and initiative on behalf of seriously ill children and their families. Visit www.starlight.org/starpowerambassadors to learn more.